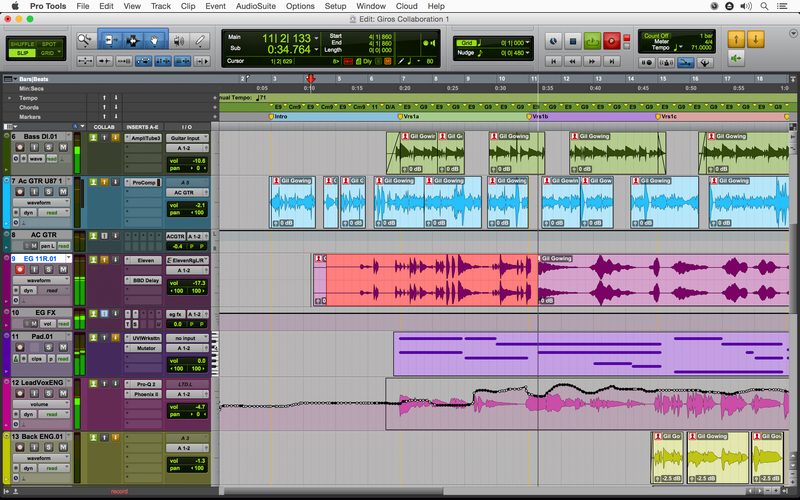 Introducing Pro Tools 12.1—Record Your Heart Out with Powerful Recording Workflows and Even More Tracks. Was it just 3 months ago we launched Pro Tools 12? Spring has flown by and we’re already back to announce the release of Pro Tools 12.1, available today worldwide. This release kicks off the new software release cycle that comes with the new flexible licensing plans, which promises frequent ongoing feature and stability updates. Artists and audio pros get more capability, advanced recording workflows and greater stability than ever with Pro Tools 12.1. Here’s a quick look at what’s new in this release. Got Pro Tools | HD Native? Now you can get the warmth and sonic characteristics of an analog console “in the box.” Our HEAT add-on option can now be run natively in Pro Tools | HD, enabling you to achieve the unmistakable sound of prized vintage gear in your mixes—without the expense or upkeep. Pro Tools 12.1 includes updates for AudioSuite, Bounce, Delay Compensation, Editing, Audio and Video Engines, I/O Setup, MIDI, and Satellite workflows to further improve stability. Pro Tools 12.1 is available today, June 30th, at no charge for all customers who have an active Avid upgrade plan. Customers who own older versions of Pro Tools can upgrade to the latest version and receive the next 12 months of upgrades included. We’re very excited about this release and the start to our frequent ongoing feature and stability updates for Pro Tools 12. If you have any questions about Pro Tools 12.1 release or Pro Tools 12 in general, join us in the Pro Tools 12 Forum on Avid Pro Audio Community. Thanks for choosing Pro Tools!